Providing counseling for students with personal/social concerns. Counseling can take place individually or in small groups. The counselor will also refer students and parents to appropriate community resources when needed and will work with external agencies and experts in supporting students and their families. Providing academic counseling for students in course selection, taking the appropriate level subjects that is on par for their learning and academic success. Also working with students to meet the requirements for a High School/IB Diploma and for college admissions requirements. Identifying students who are experiencing academic difficulties and coordinating with appropriate members to deliver services to meet their needs. Advising students on topics such as stress, time management, decision making, responsibility, study skills, substance abuse, effective social skills, transition, etc. Disseminate relevant information about colleges and careers to students and parents. Monitor updated records to support their progress toward graduation such as transcripts, grade point averages, etc. Meet with parents in an ongoing basis as they prepare their son/daughter for post- secondary life. Supervise and oversee the PSAT/NMSQT test for grades 10 & 11. 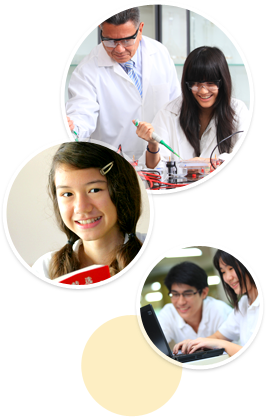 This test prepares students for the Scholastic Aptitude Test (SAT) taken in their 11th and 12th Grade years. The SAT is a required college admission test for the most selective schools in the United States. Consulting on concerns affecting their son/daughter’s academic, social/emotional growth. Facilitating good relations between students and their parents, their teacher, and other members of the school community.